It's no secret that much of Africa has a real issue with contraception, be it the condom, the coil, the pill, the IUD or, indeed, the vasectomy. The vasectomy is obviously a lot more permanent than those other options, and as such, is stigmatised in a different way. Across much of Africa, men who get it done are perceived as weaklings, or worse still, told that they aren't men anymore. Last week saw the return of World Vasectomy Day, which moves around the world hosting awareness events about the procedure, especially in countries which are less receptive to it as a means of contraception/sterilisation. 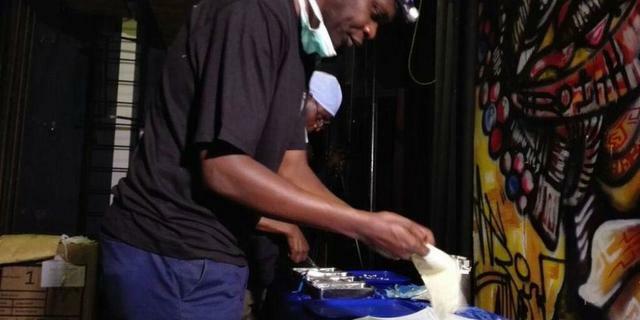 This year, the event was held in Nairobi, but there was a twist - doctors performing the 20 minute procedure were broadcast on Facebook Live. It might seem a little bit grim, broadcasting footage of men getting their wires cut, but the point wasn't to make people uncomfortable, it was to show that there is nothing diminishing or emasculating about it. Clearly they were doing something right, as more than 150 men turned up to have it done, and while they were going under the knife, Q&A sessions with experts were also held (and streamed) so that others could learn more about the workings and benefits of getting a vasectomy. Many of the men who showed up said they were doing it out of fear of paying to feed a large family, while others said they were doing it for their partners. In either case, actually seeing how the process works, speaking to the men afterwards, and having experts on hand to unpack all the various misconceptions is a big step in the right direction. Facebook Live won't do much to spread the message to smaller African villages, but often social media awareness leads directly to word of mouth.